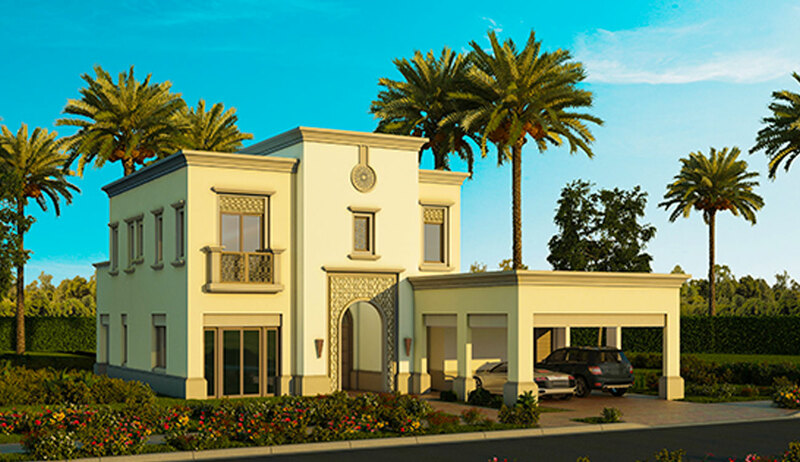 A new addition to the Arabian Ranches extension, the Yasmin villa community features 98 elegantly designed and culturally-inspired villas. 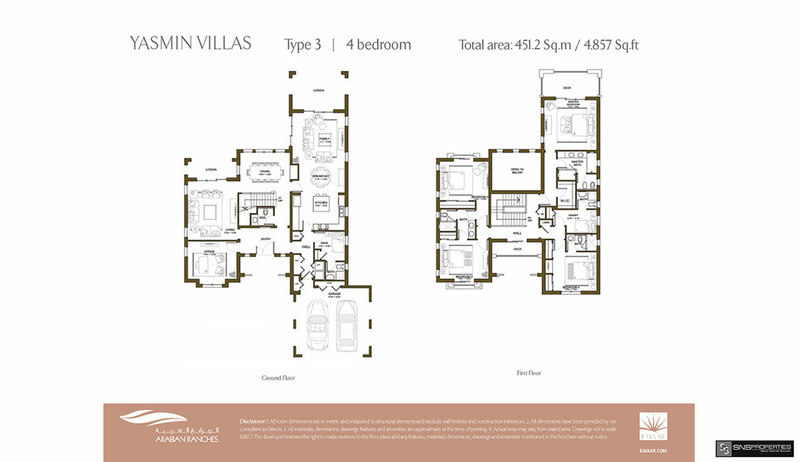 Villas come in five different types of four to six bedrooms, all providing a refreshing new lifestyle experience for families. 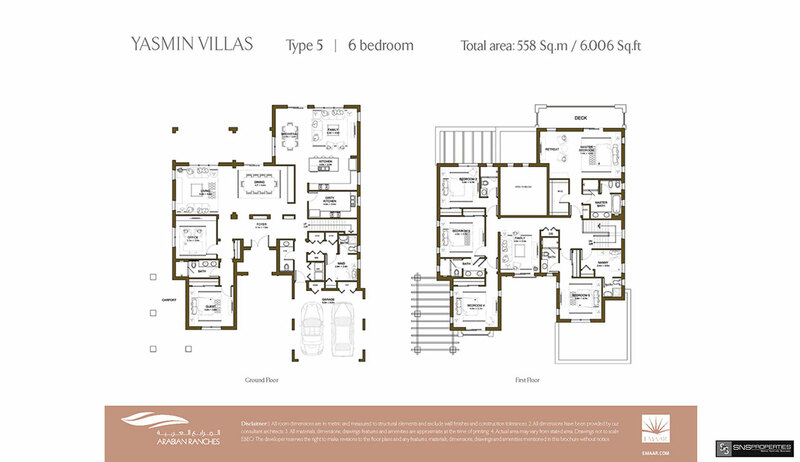 Yasmin homes are designed to offer spacious living with large windows and wide doorways providing optimal natural light. 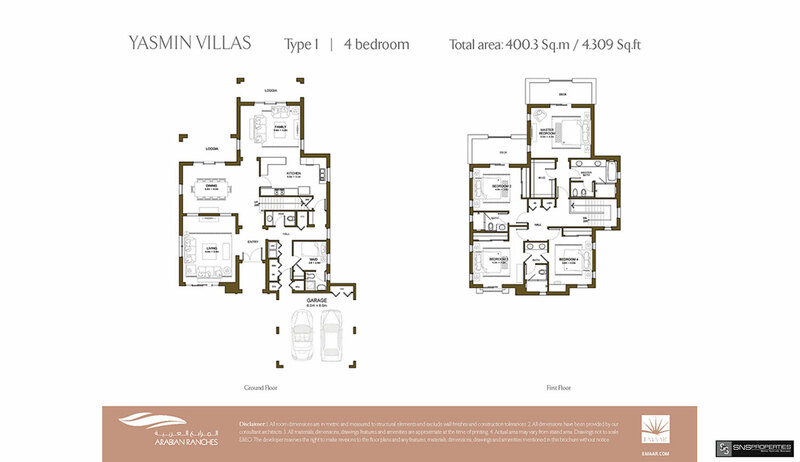 Immaculately landscaped green spaces and private plots for gardens come as standard. 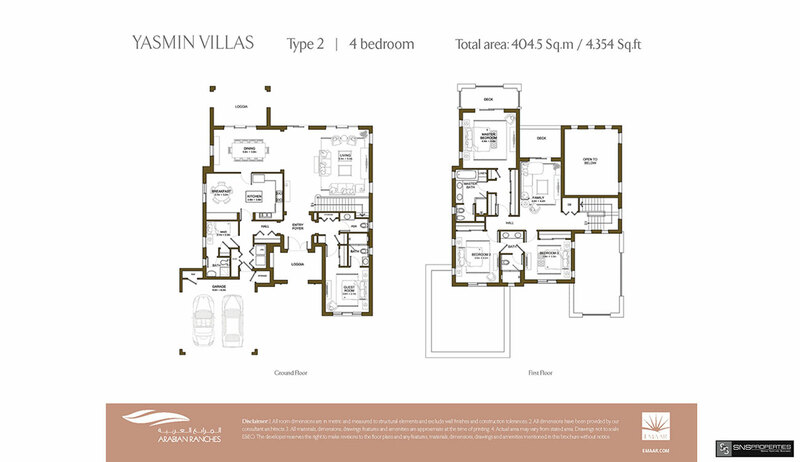 Impeccably styled, Yasmin villas take their design inspiration from the unique interpretation of the Arabian colour palette. 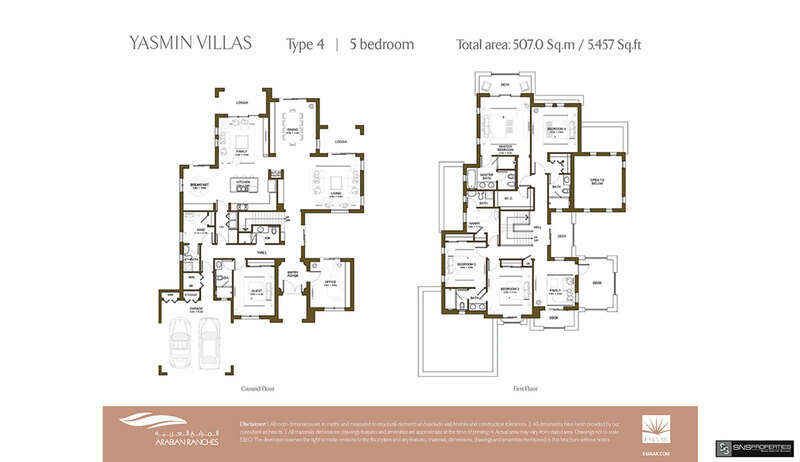 Minimalistic clean lines of woodwork and polished floors are contrasted against the flowing contours of the villas. 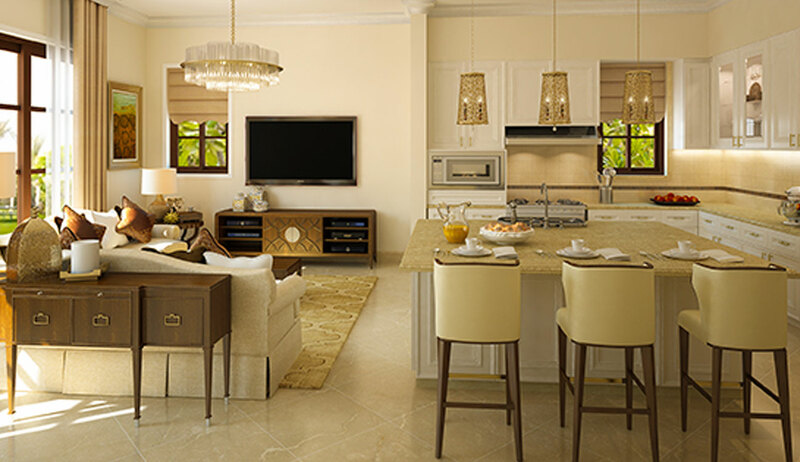 The homes also offer residents access to the finest leisure, entertainment, and social destinations in the city. 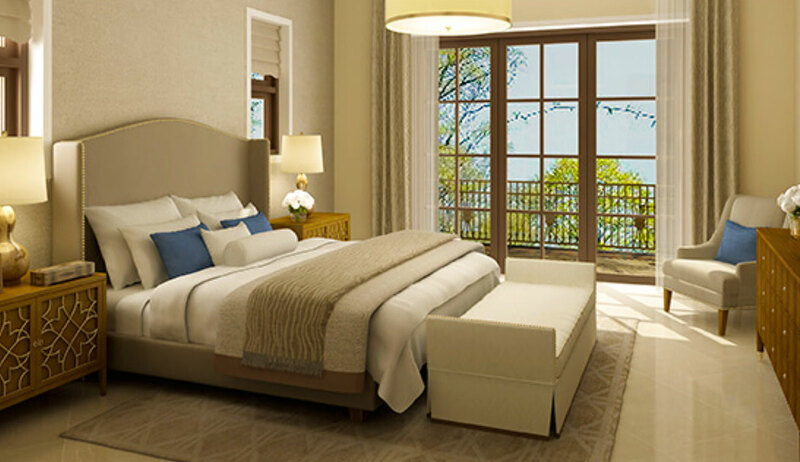 A ‘Residents’ Club’ offers homeowners the opportunity to pamper and rejuvenate with a state-of-the-art gymnasium, a pool encircled by quaint cabanas, an indoor running track, and a beauty salon and spa. 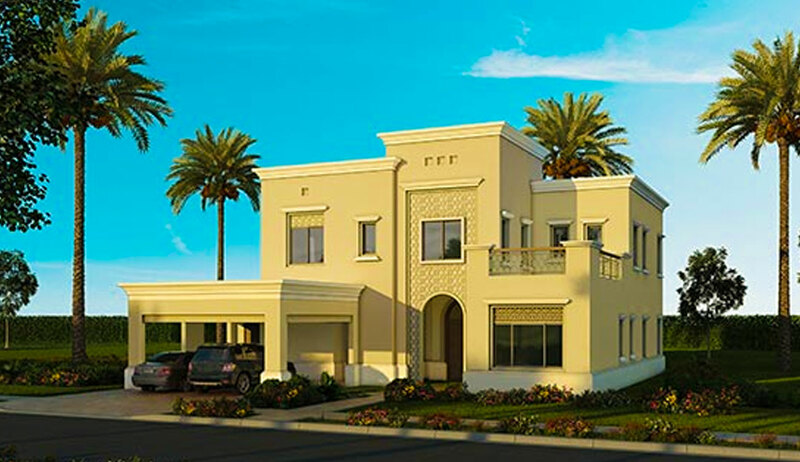 Those looking for the serene outdoors will have access to a signature 247-acre golf course; the Dubai Polo & Equestrian Club; community parks and gardens, equipped with barbeque deck; dedicated children’s area; tennis courts; football pitches; and a dedicated gourmet restaurant. Residents of Yasmin are in close proximity to the city’s key hubs including Dubai Marina, the largest waterfront development in the region, Dubai Media City and Dubai Internet City.